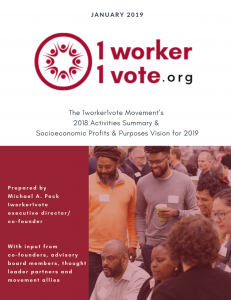 Michael Peck, along with several 1worker1vote co-founders and allies, has put together a look back at our movement’s work in 2018, and a vision of what’s ahead this year. Please take a look! Click for a PDF copy of the report. Or, find the HTML version here.